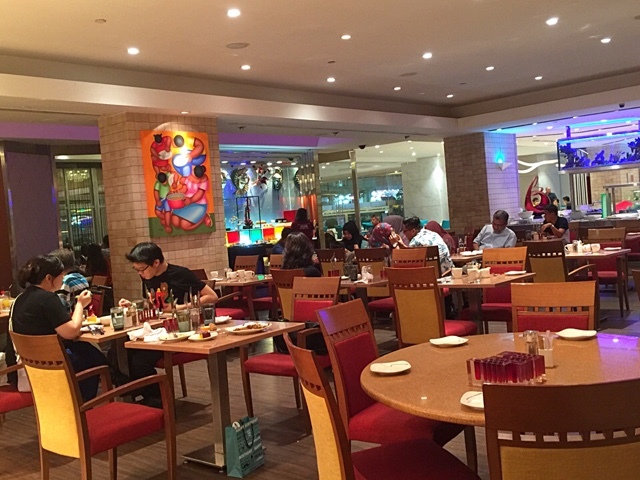 I have tried many buffets in town and by far, Carousel is still the best simply because of the high quality of food it serves and the sheer variety. 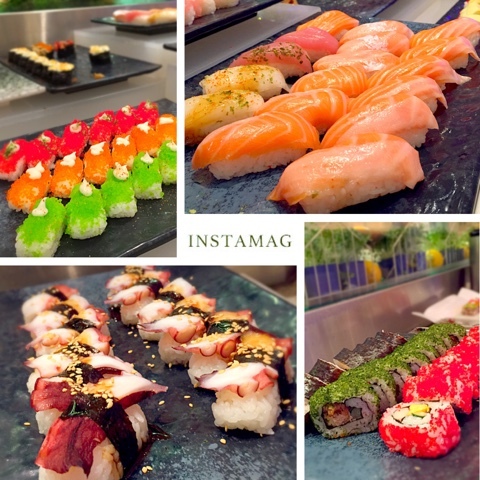 Whenever I am feeling really down, I will head to Carousel to cheer myself up and indulge in the extremely fresh sashimi, lobsters, tender roasted beef, cheese platter, delicious hot mains and delicious desserts. Sedup! 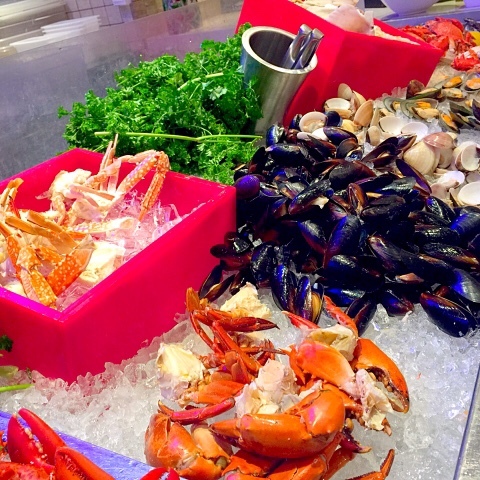 I have tried other lobsters in other buffets but they are usually overcooked, hard or tasteless. Carousel's lobsters were tender and sweet. I wish that one day, they will decide to serve piping hot lobsters instead. 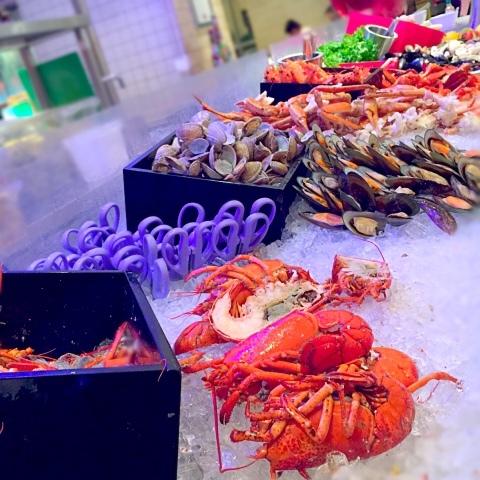 For this buffet, the staff were very quick with their replenishment so it was not the case whereby people cheong(jostle) to get all the lobsters and you would have to wait for a long time before the next batch was in. 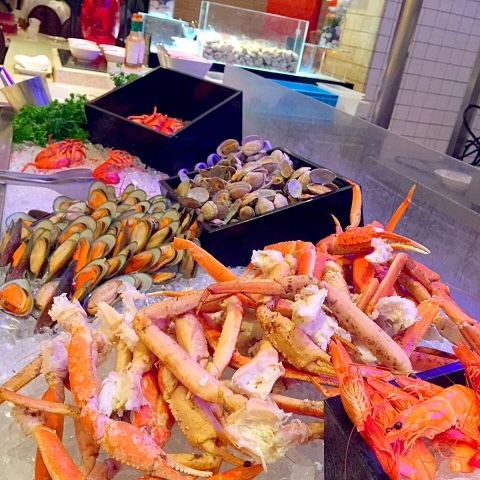 The Snow crabs and prawns are a Must Try because they tasted extremely fresh and sweet. I enjoy eating sweet tasting seafood flesh. 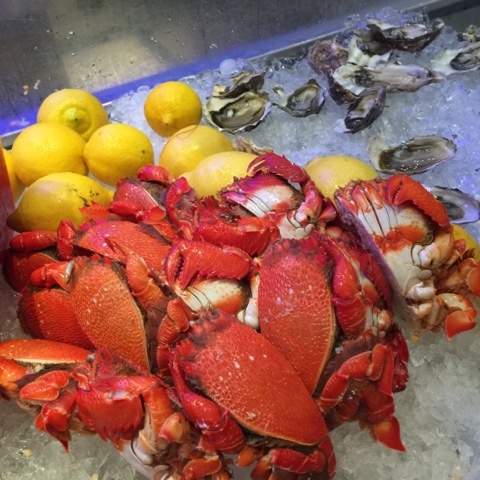 To achieve this quality, Carousel imports high quality seafood produce. Are you a crab too? 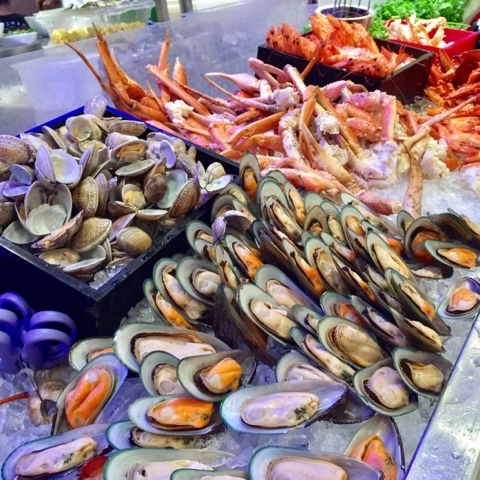 I forgot what seafood is in the picture. I don't remember it tasting fantastic. 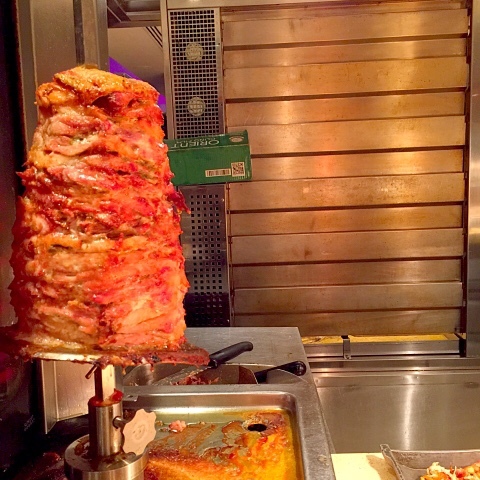 If you have limited stomach space, you can skip this. 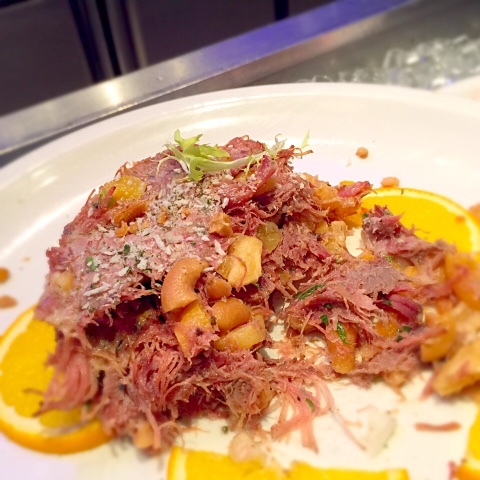 I usually take my oysters with red wine vinaigrette. Since this is a Halal certified place, the red wine looking sauce that I drizzled over my oyster was definitely not alcohol but just as nice. The oysters were fresh and juicy. The quality of oysters is always consistent. 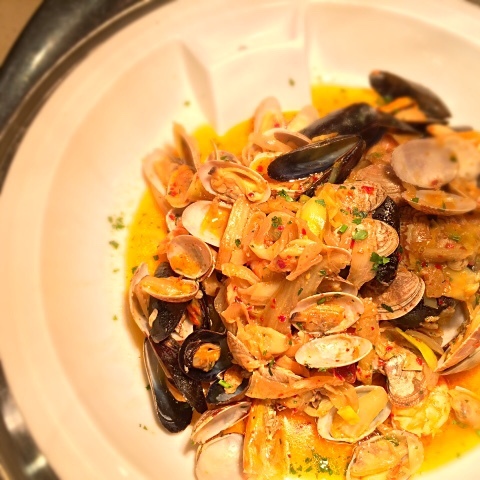 Carousel serves one of the best tasting oysters among the hotels I have tried. 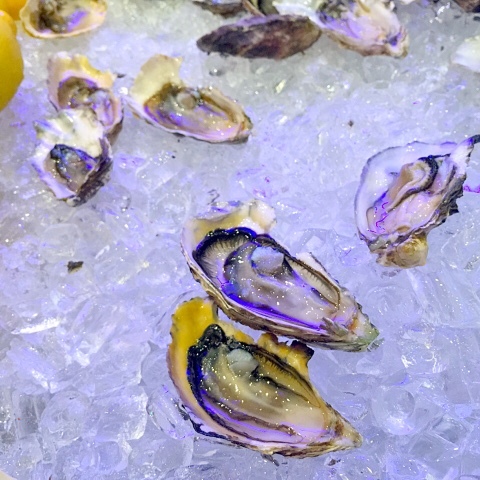 Fresh oysters are sweet and without the fishy bad taste. 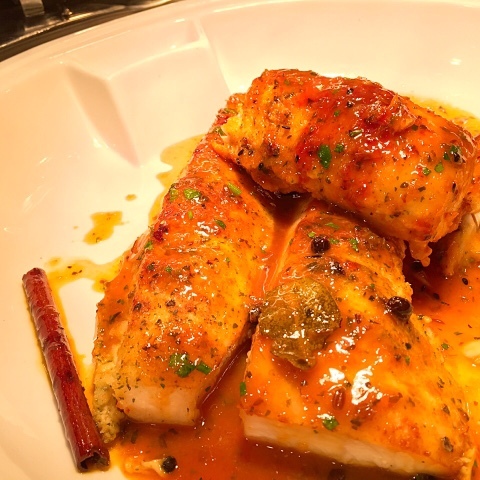 I am very happy that Carousel serves Mekajiki - swordfish. Mekajiki is my all time favourite sashimi! Though this is an acquired taste, it is more expensive than salmon and not commonly served at buffets as only fresh Mekajiki tastes good. Thumbs up! The quality of sashimi at Carousel is always very high and consistent. 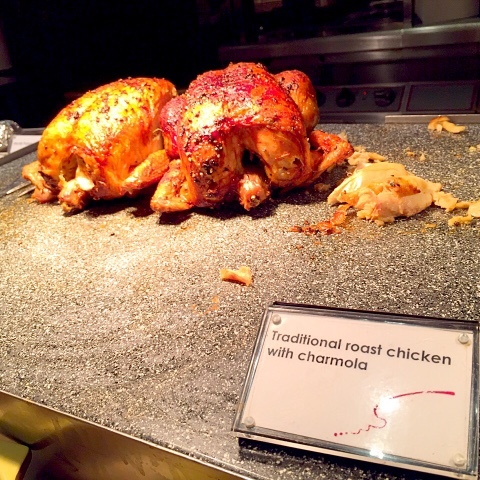 It is very difficult for me to find another hotel buffet who can compete with Carousel. 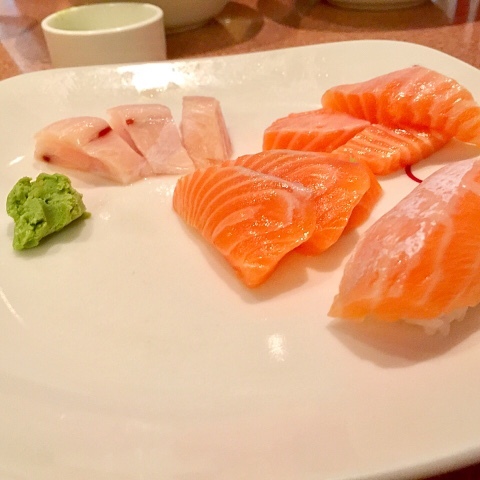 The salmon sashimi melts in your mouth and Carousel is very consistent with its top notch salmon sashimi quality. 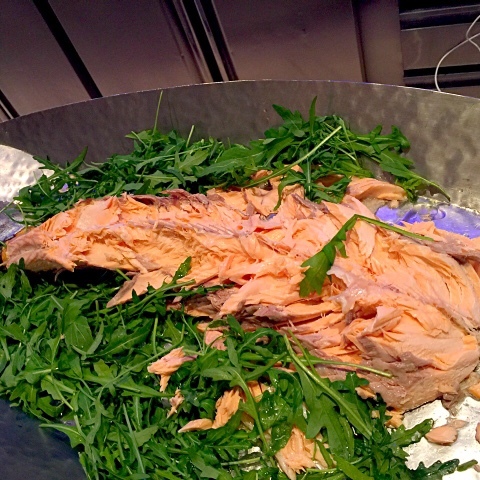 Usually the salmon sashimi in buffets are fresh but slightly bland. 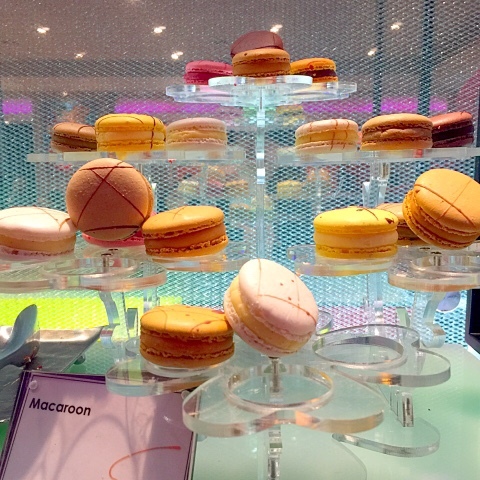 Carousel's version matches the quality in renowned Japanese restaurants - fresh and most importantly, sweet. Eating my plate of Salmon Sashimi transported me to foodie land - all distractions of life were lifted and it was just me enjoying my food earnestly. 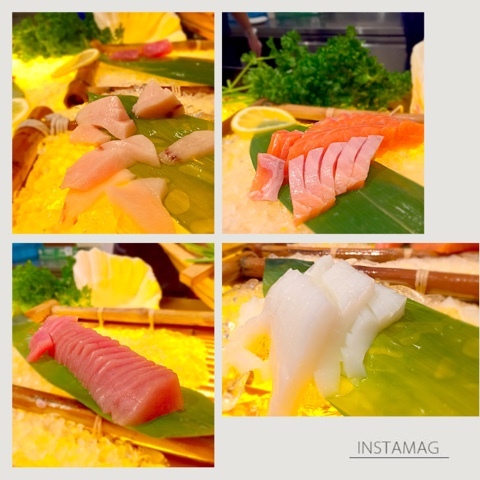 One tip - if you are a fan of salmon belly sashimi like me, please request for it at the sashimi counter. 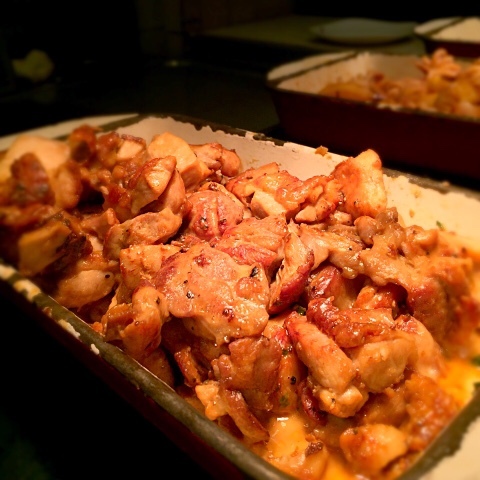 This garlic chicken was the dish of the day at the Tepanyaki station. 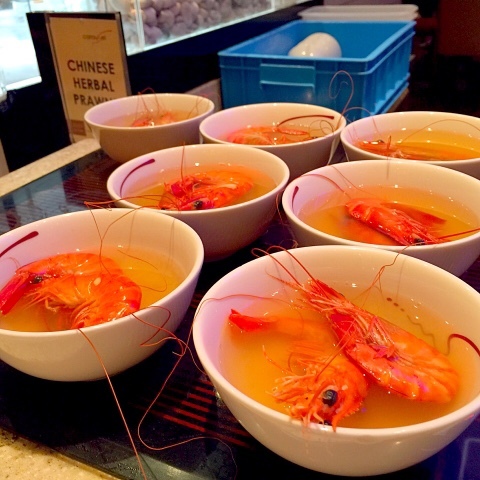 It tasted very juicy and thoroughly infused with the fragrance of garlic and rich soya sauce. 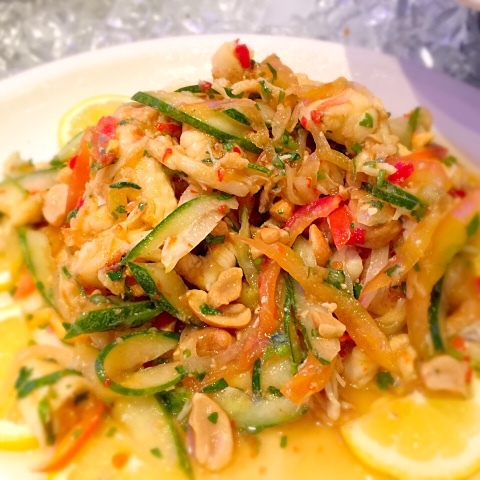 You should try it with the garlic fried rice at the station. I was very disappointed that they did not serve squid at the station. I tried it previously and the taste was simply unforgettable. I absolutely love this salmon dish because it always tastes great with the Japanese soya sauce and wasabi. Try it! I learnt it from a friend and I was skeptical initially. No regrets! 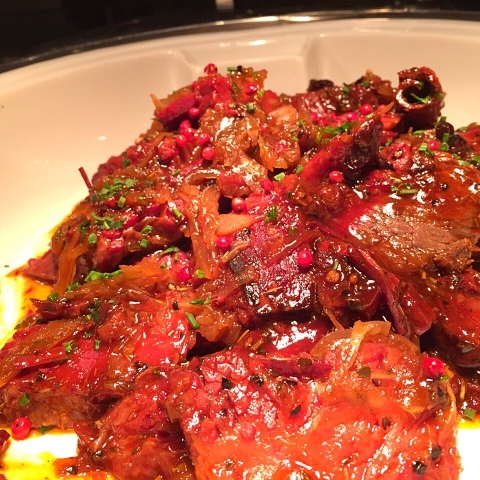 I am very impressed with Carousel because it always serves very interesting hot dishes of good quality. 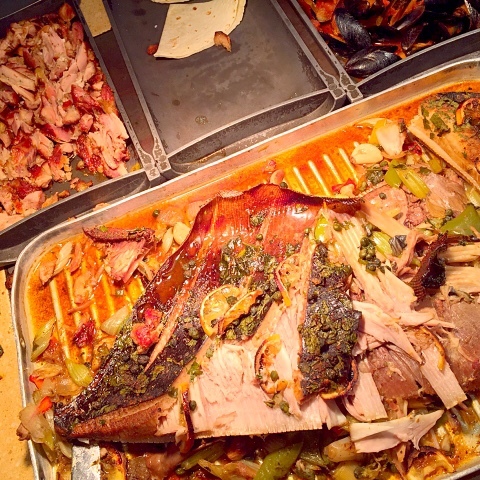 Many buffets when it comes to this section, always serve dishes where you can find at a Cai Fan (economic rice) store. 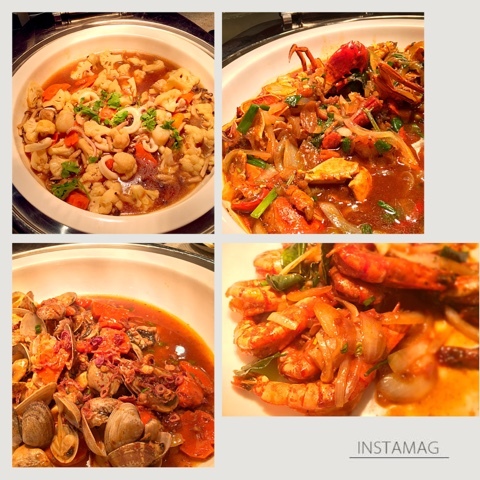 Sometimes I even get inspiration from their creations and cook them at home. They change the hot mains every now and then. 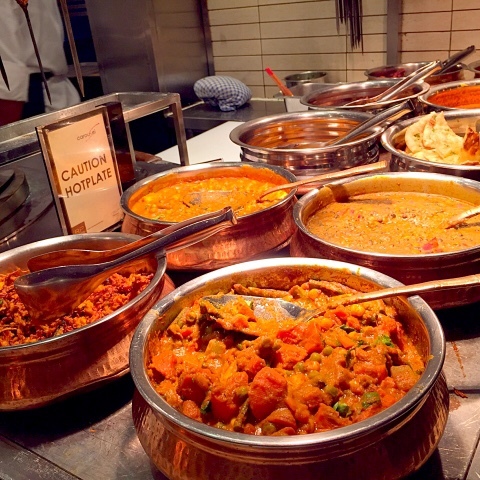 Check out the Masterchef worthy dishes. 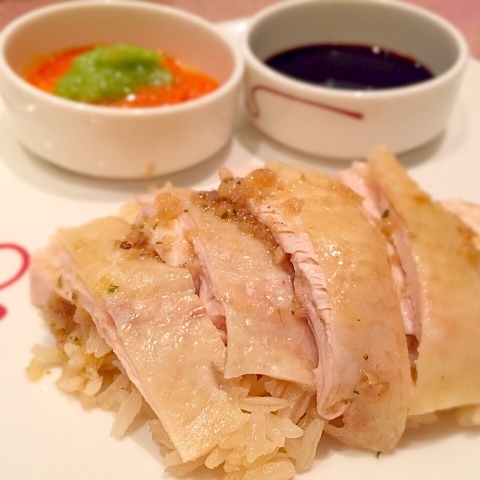 I always try the chicken rice because of its smooth and tender steamed chicken with delicious chicken rice. The rice has been infused with the right balance of chicken oil and flavours. The laksa from the Noodles Station tasted a tad too sweet for me. 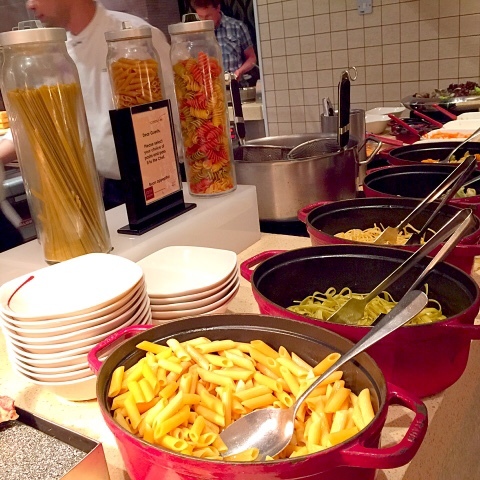 The Pasta Station is a must try as the chef whips up delicious Italian pasta. 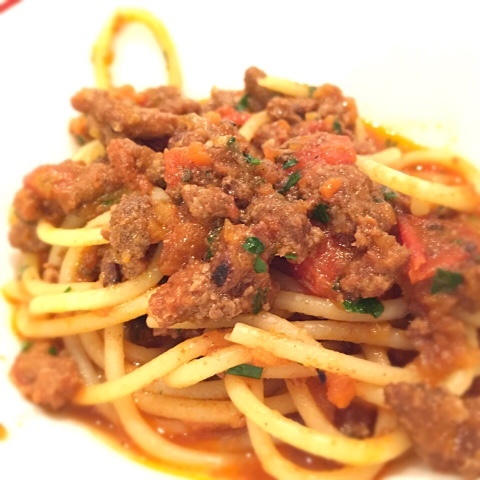 The pasta was cooked al dente. 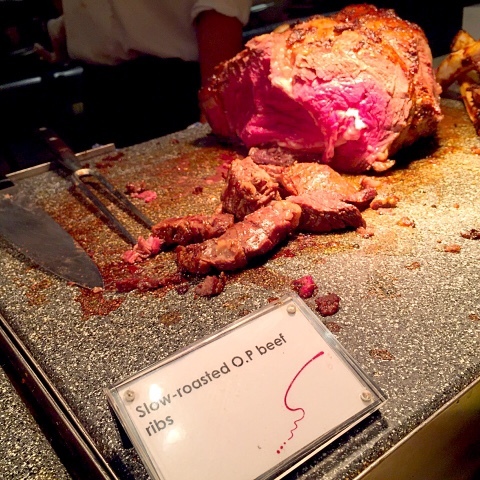 The slow roasted beef was the best I have tasted among the buffets I have eaten. 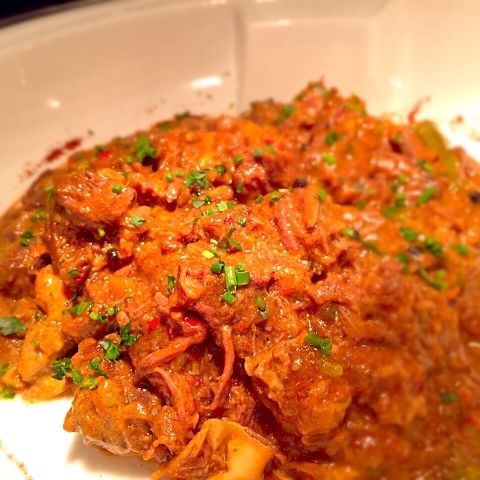 It is filled with strong beefy flavours and very tender. It came with a variety of sauces. 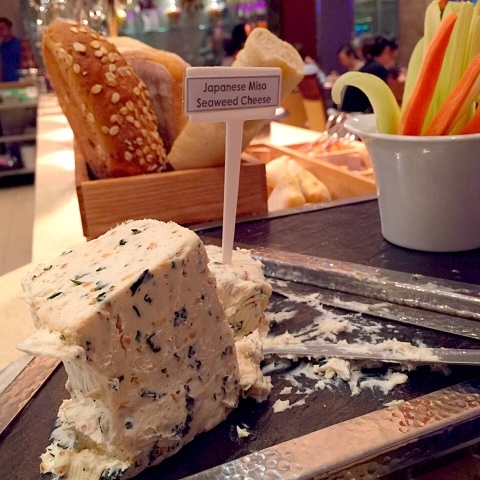 The Japanese miso seaweed cheese tasted great with the raw carrots and celery. Cheese tastes great with digestive biscuits and I learnt this from Carousel. 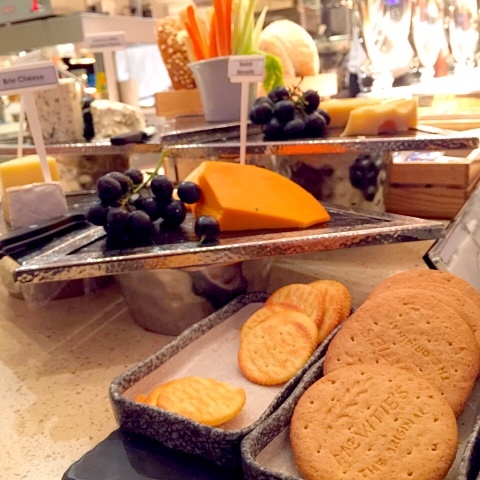 This is the only buffet which serves digestive biscuits at the cheese station. The grapes in the picture are not for decorative purposes. Try grapes with cheese - it is a great combination. 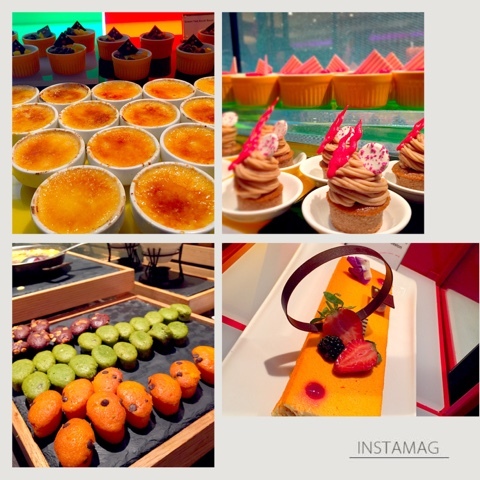 Apart from Western desserts, Carousel serves Chinese ones as well. I usually try their Yam paste with Ginko nuts and red beans soup. I am not a sweet tooth person so the only dessert that I always enjoy is their frozen froyo! 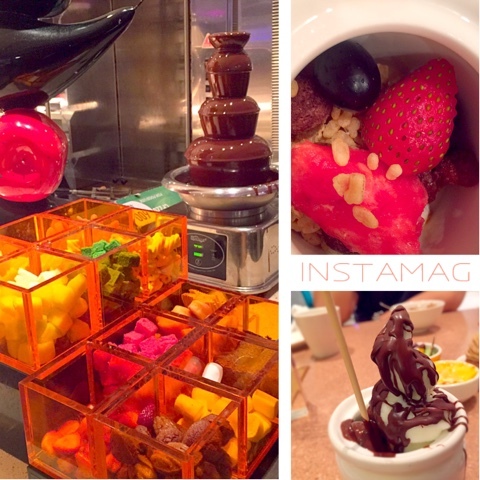 It is not common to find frozen froyo served in buffets. I am a llao llao fan and I set about to make my own llao llao. I filled up my jar with fruits and crunchies and covered it with yoghurt. I then used a satay stick and poked a strawberry. Using the satay strawberry, I approached the chocolate fondue with my yoghurt jar and did what the llao llao stuff usually does - flick chocolate onto the yoghurt and guess what? The chocolate hardened just like llao llao's. Amazing and fun! 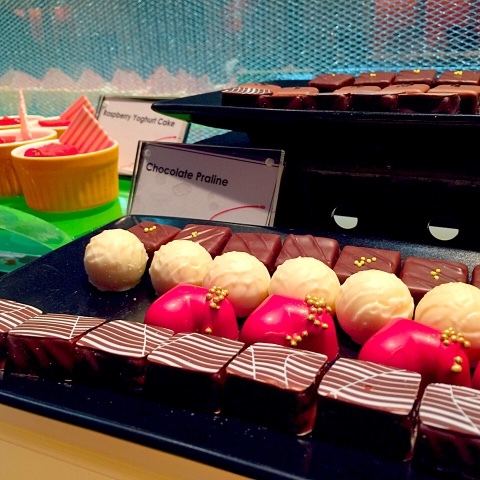 At S$83++ per pax, one expects more frills, more theatric effects and most posh settings. What Carousel can offer you is good food and loud playing of Happy Birthday songs complete with staff dancing. You can usually offset the tax with credit card discounts. I really enjoy the food and I have been back and will always be back. 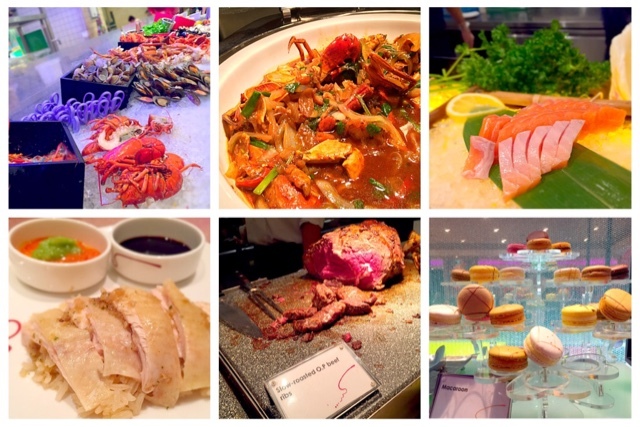 I only go for their Weekend Buffet (International Seafood Buffet) as they serve different food for different timings on different days.